Vehicle Lettering vs Car Magnets – Which to Choose and Why? For most Triangle area drivers, the longer they are stuck in traffic, the more frustrated they get. For business owners with vinyl lettering or car magnets though, they have a captive audience being forced to stare at their business name and contact info, so it’s not a total waste. This form of advertising is very effective in terms of the number of people who are reached per day, and it doesn’t even have to be very expensive. There are advantages and disadvantages to both vehicle lettering with a car wrap and using magnets though. Let’s look at how they compare in a few areas to see which might be best for your Raleigh area business. Car magnets can deliver the vital information about your business that you want to get across, but they do not offer quite as much in the design category as vinyl does. Most car magnets come in somewhat clunky square or rectangle-shaped cuts. Vinyl lettering or wraps, on the other hand, can involve various shapes and elements. 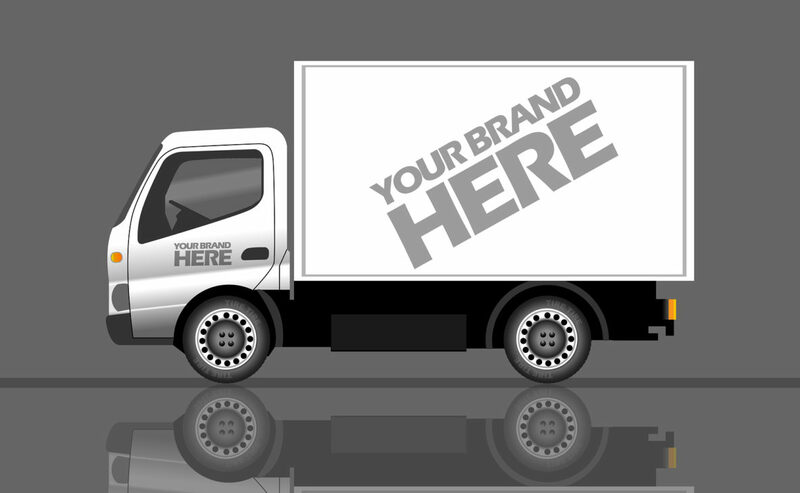 A car wrap can be a “full wrap” or a “partial wrap” or could just be lettering or a logo in a small area. The size is very versatile. Magnets generally do not cover much space. Also, if they had to cover a lot of space, the curves of the car might compromise the magnet and make it more likely to fall off. When it comes to price, car magnets are much more cost-effective than vinyl. Lettering and wraps with vinyl involve a lot of designing, printing, and installation, which can be pricey. Magnets though are just that — a magnet that you slap on to the car. There is a design stuck to one side of it, but it does not make the price increase by any great degree. Car magnets are made to stick on. But they are also made for you to be able to pull them off without a major effort so you can clean or store them. If you can pull them off, so can a strong wind or other force. Cheaper brands of car magnets have been known to blow off on the highway. Vinyl does not have this danger. If you want to use your vehicle as a company car during the day, but your HOA doesn’t allow “business vehicles” to park in the neighborhood, an easily-removed magnet could be just the thing. Maybe you just don’t feel “cool” pulling up to your kid’s soccer game with the magnet on there. It can be great advertising if you do, but some would prefer to keep that kind of thing during business hours. If you want to be able to apply and remove your business logo at a moment’s notice, car magnets make this easy. Vinyl vehicle lettering can be removed, but it destroys the product and is time intensive. Though car magnets are easier to remove, they tend to get a bad reputation for ruining the finish on vehicles. As with your vehicle itself, there are specific things you can do to keep your car and your magnet looking great over time. Our team can help you with installation, removal and upkeep to keep things like this from happening with either form of advertisement. To learn more about putting a logo or lettering on your vehicle in the Raleigh area, contact Jack Rabbit Signs and Graphics at (919) 571-1185.